1 - 4 oz. 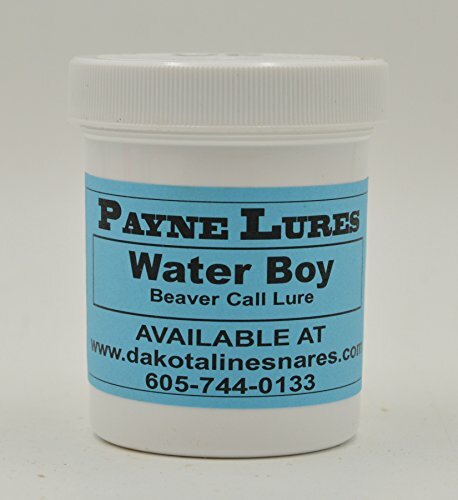 Payne WATER BOY Beaver Call Lure by DakotaLine at Vet Center Store. MPN: pwbbcl4oz. Hurry! Limited time offer. Offer valid only while supplies last. A castor based lure with a few high dollar oils added. One of the best beaver lures you will ever use. Works as a change up on Coyotes and Fox. A castor based lure with a few high dollar oils added. One of the best beaver lures you will ever use. Works as a change up on Coyotes and Fox. Bobcat are extremely attracted to it. Good year round and in any climate. A castor based lure with a few high dollar oils added. One of the best beaver lures you will ever use. Works as a change up on Coyotes and Fox. Bobcat are extremely attracted to it. Good year round and in any climate.